The rubric "Quality of Life" first came to the explicit attention of the medical profession a little over thirty years ago. Despite the undoubted fact that each one of us has his or her own Quality of Life, be it good or bad, there is still no general agreement about its definition, or the manner in which it should be evaluated. Although much has been written about quality of life, this work has been largely concerned with population-based studies, especially in health policy and health economics. 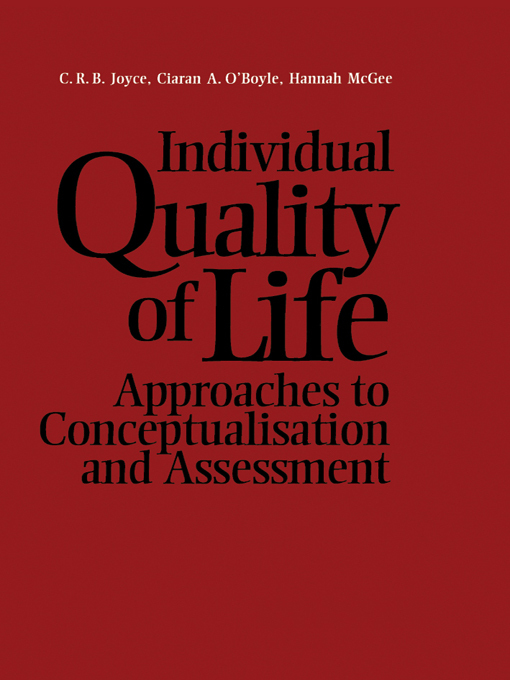 The importance of "individual" quality of life has been neglected, in part because of a failure to define quality of life itself with sufficient care, in part perhaps because of a belief that it is impossible to develop a meaningful method of measuring individual variables. Measuring the Quality of Life: Why, How and What? Interpretation of Data from Health Status Measures: What Do the Numbers Mean?